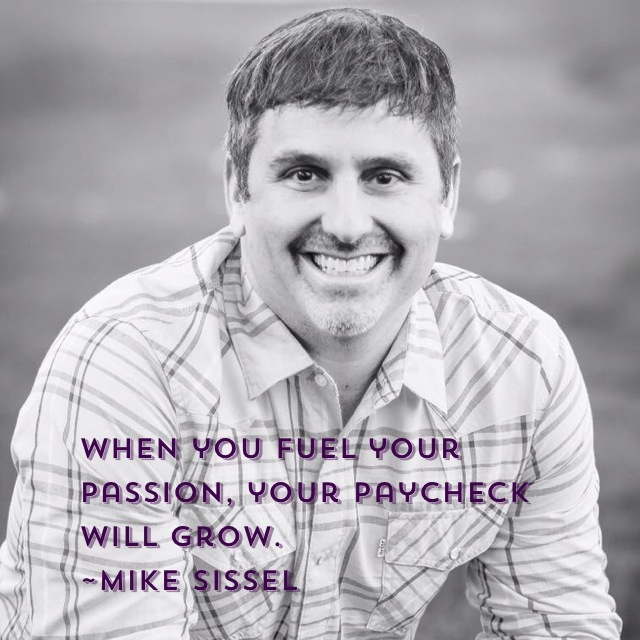 When you fuel your passion, your paycheck will grow. What is the most common question recent college graduates ask each other, after starting their first real world jobs? While I don’t have a specific answer, I can’t imagine the questions have changed much since the time I graduated 20 years ago. It was the fall of 1994 and I was just a few months removed from the pinnacle of my educational journey; college graduation. Football season was starting and I was excited to attend my first game as an alumnus, eager to reconnect with several of my classmates. As the tailgating festivities ensued, I couldn’t help but notice the nature of our conversations. In years prior, we would talk about various classes we were taking, future Spring Break trips, or cute girls who caught our eye. On this day, however, the conversation was dominated by two questions. The first question was almost obligatory as it served as a natural segue way into the all-important money question. As a recent hire with a rental car company as a management trainee, I found myself on the low end in comparison to other salaries. I knew in my heart that I wasn’t defined by a salary, but my head (or should I say my ego) informed me otherwise. In that moment, I let my ego win and I set out on a journey to fuel my paycheck, not my passion. I had a tremendous passion for teaching and coaching, but I suppressed it in order to achieve salary rank amongst my classmates. After all, those who were making the most money, seemed to be the most happy. Fast forward 20 years and after spending the early part of my professional journey chasing a paycheck, I’m grateful that I finally listened to the wisdom of my heart and eventually followed my passion. Below are three of the most important messages I would share with any recent (or soon to be) college graduate regarding their future. More money does not equal more happiness. Despite all of the images you see in the media (fancy cars, luxurious homes, lavish vacations), none of these guarantee happiness. Your ego will tell you that you need to find the highest paying job in order to be happy. This couldn’t be further from the truth. As one Princeton study points out, beyond a certain salary (approximately $75,000), which gives you the financial means to meet your basic needs, there is no correlation between money and happiness. The fact is, happiness has more to do with the quality of your relationships than it does the size of your paycheck. Sure the fancy cars and luxurious homes will provide you with temporary happiness, which can only be replaced with the next best thing, but is that the kind of happiness you want? Your passions are gifts from God, so fuel them. Unfortunately, it’s easy to move away from your gifts and follow whatever is trendy or hip. Instead of doing what everyone else is doing, identify a problem in the world that is near to your heart and decide how you can use your passion to create a solution. You may need to start this journey with a position that pays a very meager salary, but take solace in knowing that when you fuel your passion, your paycheck will grow. While I’m certain you gained a tremendous amount of knowledge over the past several years, which contributed greatly to your academic development, I encourage you to invest in self-development. I’m guessing that you didn’t spend a whole lot of time in your college classes learning about emotional intelligence, interpersonal communication, or empathic listening. These are just a few of the “soft skills” that will give you an edge in any work environment. You can have all of the knowledge in the world, but what employers really want is someone who can manage themselves. At the end of your life, it won’t be a balance sheet that will consume your thoughts. You will likely reflect on the relationships you developed, the value you added to others, and the contribution you made to the world.